TeluEvents has been experimenting about the speed dating scene. It is a good thing that Fitness First partnered with them to bring us this one-of-a-kind Fitness event. 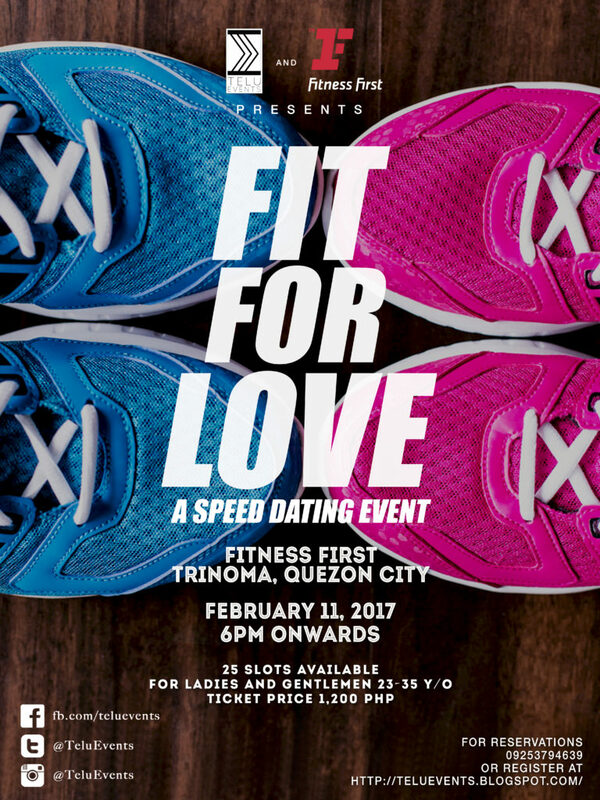 Scheduled to happen on February 11, 2017, singles should be ready to work it out at the gym. Hindi naman dapat na buff ka na, ok lang yung mga dad bod dyan. Dapat lang, naka gym attire ka; rubber shoes, jogging pants, sando or working shirt. This entry was posted in Swoosh News and tagged Fit For Love, fitness first, gym, Speed dating, Telu Events, valentines. Bookmark the permalink. walang kupas sa pick up line Pepi! oi. jaizel. ahahaha. of course. problema ko lang sa mga gym, seryoso masyado mga tao. hahaha may anak na pala loko! !